Things that look pretty will often sound pretty, too. Zsanett Szirmay’s latest project, Soundweaving, translates patterns from Eastern European embroidery into gentle, tinkling melodies. 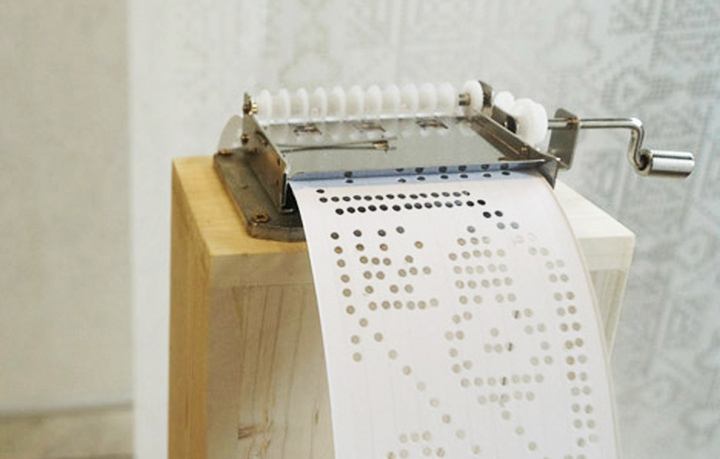 By translating the motifs from pillows and folk costumes to punch cards, and then running those punch cards through a hand-cranked music box, Szirmay finds the music that’s effectively been trapped in the textiles all along. 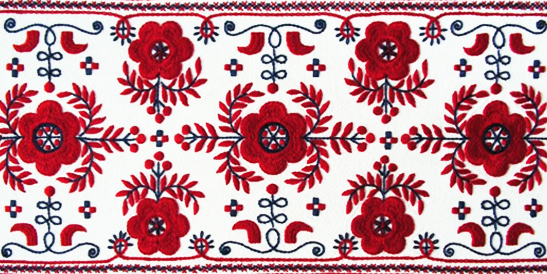 This entry was posted in Uncategorized and tagged Hungarian embroidery, Math and music. Bookmark the permalink.